The whole Indian cricket fans felt bad when they saw Team India and RCB skipper Virat Kohli cried after loosing fifth back to back match in IPL 2019. In the last match against KKR, RCB set the target of 206 runs for KKR and they were supposed to win the match but then all-rounder Andre Russell smashed the RCB bowlers. He hit 48 runs on 13 balls and made the easiest win for KKR. 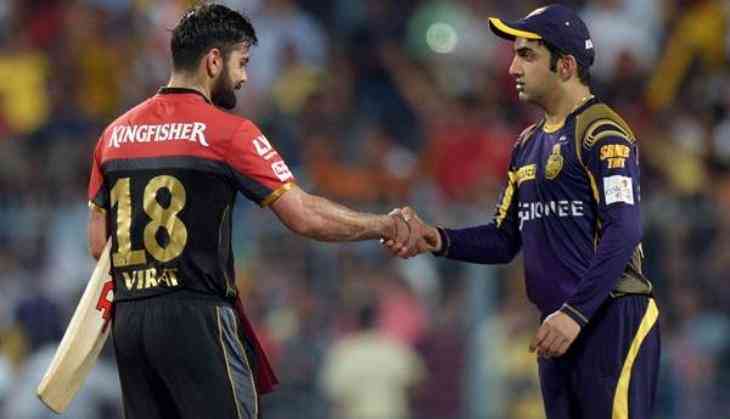 Now the former captain of KKR, Gautam Gambhir has taken a dig at Virat Kohli and his captaincy. He also praised Andre Russell for his grand cameo in the match. He said that it was just a matter of chance that KKR discovered Andre Russell. Guatam Gambhir in TOI told how he discovered Andre Russell. "In 2013-14 we were searching for a backup for the great Jacques Kallis. One of the very few options available was Russell. Till then he had played two seasons for Delhi. With 58 runs in seven games, Russell was the lesser-known Italian joint waving at the customers passing by. They would stop, look, ponder, and move on. KKR booked a table purely as there was no choice. And the Rs 60 lakh price tag for Russell didn't hurt at all" Gambhir told. Gambhir also told that Virat Kohli is a great batsman but he is totally failed when it comes to captaincy. Gambhir said, "Bangalore, however, didn't help their cause. I would start with last year's auction where they messed up. Why did they go for Marcus Stoinis and Nathan Coulter-Nile if they knew these players were not available from the start? At a small venue like Chinnaswamy, where the wicket is flat, I would have gone with an out-and-out fast bowler." While Virat Kohli the batsman is an absolute master, Virat Kohli the captain is an apprentice. He has loads to learn. Rather than blaming the bowlers, he should take the blame on himself. For example, instead of getting Stoinis to bowl the remainder of Siraj's over, he should have gone with left-arm spinner Pawan Negi on a pitch where the ball was gripping. It is a no-brainer that Russell likes pace on the ball," Former KKR captain added.